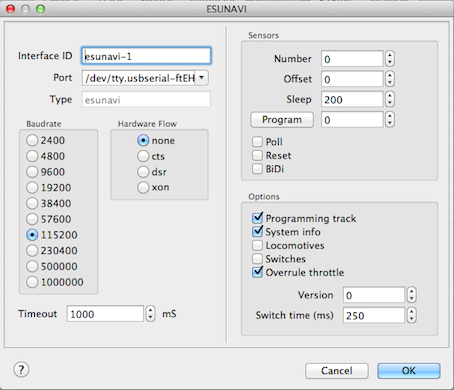 select library esunavi on the Controller Tab of the Rocrail dialog. Flat addressing; Port value is not used. There is no sensor support available in the protocol. Without a second system for sensor reporting automatic mode is not possible. There is no PT support available in the protocol.